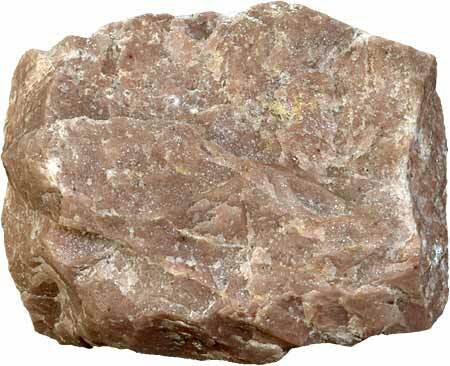 Quartzite is a nonfoliated metamorphic rock that formed by the metamorphism of pure quartz sandstone. The intense heat and pressure of metamorphism causes the quartz grains to compact and become tightly intergrown with each other, resulting in very hard and dense quartzite. The name quartzite implies not only a high degree of induration (hardness), but also a high quartz content. 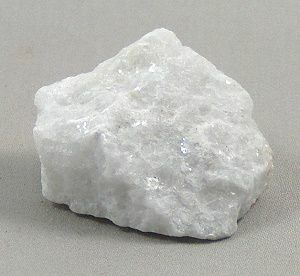 Quartzite generally comprises greater than 90% percent quartz, and some examples, containing up to 99% quartz, and are the largest and purest concentrations of silica in the Earth's crust. 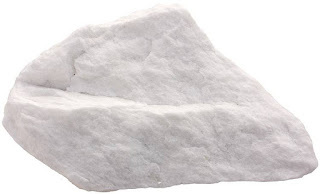 Although a quartz-rich sandstone can look similar to quartzite, a fresh broken surface of quartzite will show breakage across quartz grains, whereas the sandstone will break around quartz grains. Quartzite also tends to have a sugary appearance and glassy lustre. When sandstone is cemented to quartzite, the individual quartz grains recrystallise along with the former cementing material to form an interlocking mosaic of quartz crystals. Most or all of the original texture and sedimentary structures of the sandstone are erased by the metamorphism. The grainy, sandpaper-like surface becomes glassy in appearance. Minor amounts of former cementing materials, iron oxide, silica, carbonate and clay, often migrate during crystallisation and metamorphosis. This causes streaks and lenses to form within the quartzite. Quartzite is very resistant to chemical weathering and often forms ridges and resistant hilltops. The nearly pure silica content of the rock provides little for soil; therefore, the quartzite ridges are often bare or covered only with a very thin layer of soil and (if any) little vegetation. 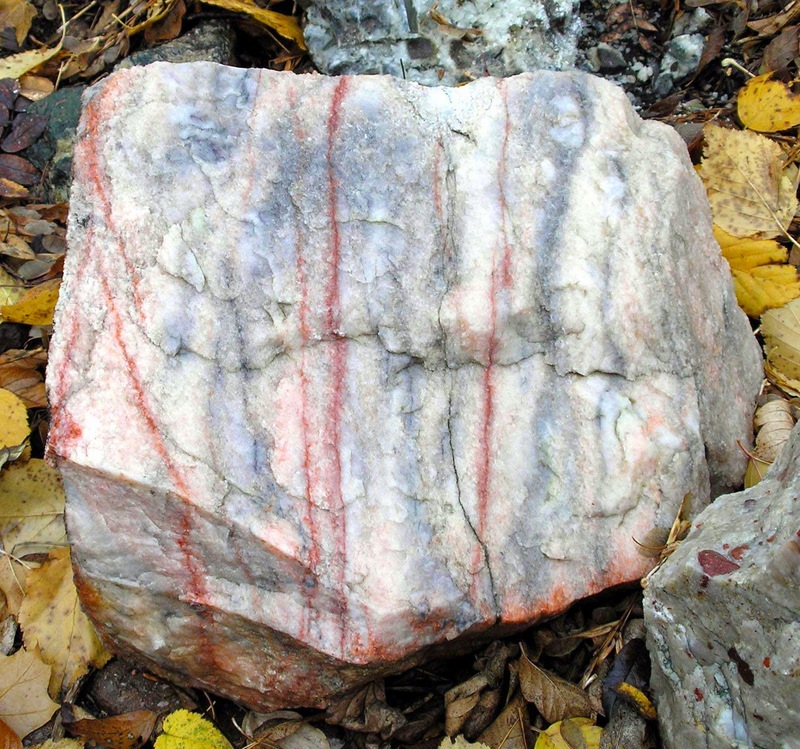 In the United States, formations of quartzite can be found in some parts of Pennsylvania, eastern South Dakota, Central Texas, southwest Minnesota, Devil's Lake State Park in the Baraboo Range in Wisconsin, the Wasatch Range in Utah, near Salt Lake City, Utah and as resistant ridges in the Appalachians and other mountain regions. Quartzite is also found in the Morenci Copper Mine in Arizona. 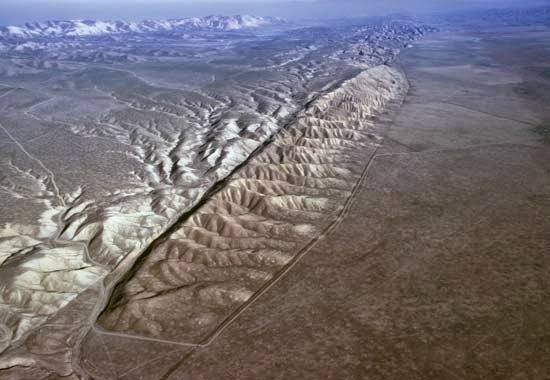 The town of Quartzsite in western Arizona derives its name from the quartzites in the nearby mountains in both Arizona and Southeastern California. 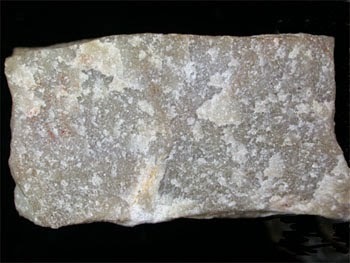 A glassy vitreous quartzite has been described from the Belt Supergroup in the Coeur d’Alene district of northern Idaho. In the United Kingdom, a craggy ridge of quartzite called the Stiperstones (early Ordovician – Arenig Epoch, 500 Ma) runs parallel with the Pontesford-Linley fault, 6 km north-west of the Long Mynd in south Shropshire. Also to be found in England are the Cambrian "Wrekin quartzite" (in Shropshire), and the Cambrian "Hartshill quartzite" (Nuneaton area). In Wales, Holyhead mountain and most of Holy island off Anglesey sport excellent Precambrian quartzite crags and cliffs. In the Scottish Highlands, several mountains (e.g. Foinaven, Arkle) composed of Cambrian quartzite can be found in the far north-west Moine Thrust Belt running in a narrow band from Loch Eriboll in a south-westerly direction to Skye. In Ireland areas of quartzite are found across the northwest, with Mount Errigal in Donegal as the most prominent outcrop. The quartz content of quartzite gives it a hardness of about seven on the Mohs Hardness Scale. Its extreme toughness made it a favourite rock for use as an impact tool by early people. Its conchoidal fracture allowed it to be shaped into large cutting tools such as ax heads and scrapers. Its coarse texture made it less suitable for producing tools with fine edges such as knife blades and projectile points. Because of its hardness and angular shape, crushed quartzite is often used as railway ballast.Quartzite is a decorative stone and may be used to cover walls, as roofing tiles, as flooring, and stairsteps. Its use for countertops in kitchens is expanding rapidly. 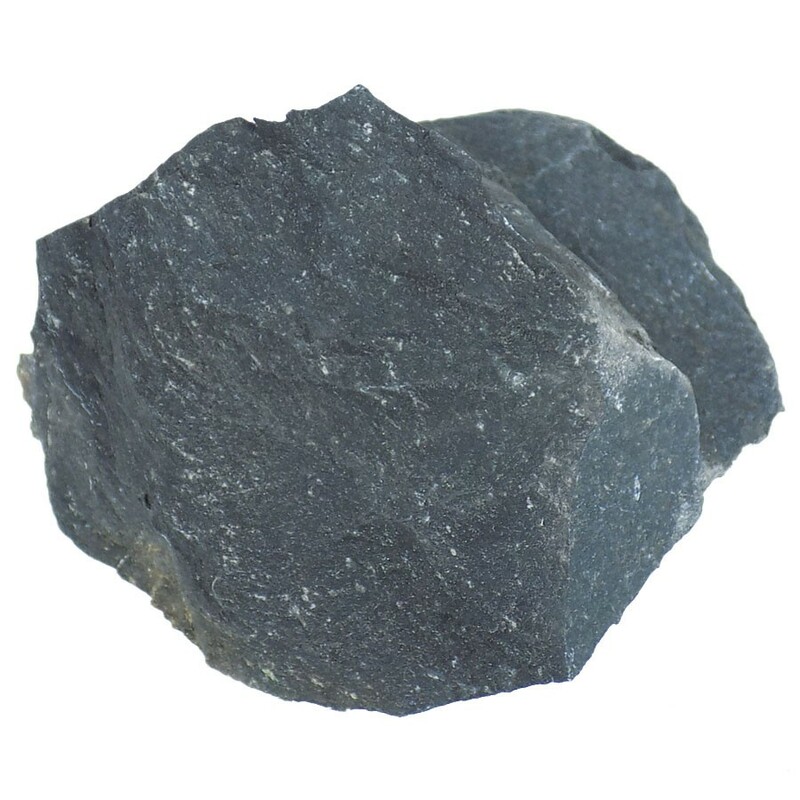 It is harder and more resistant to stains than granite.Crushed quartzite is sometimes used in road construction. 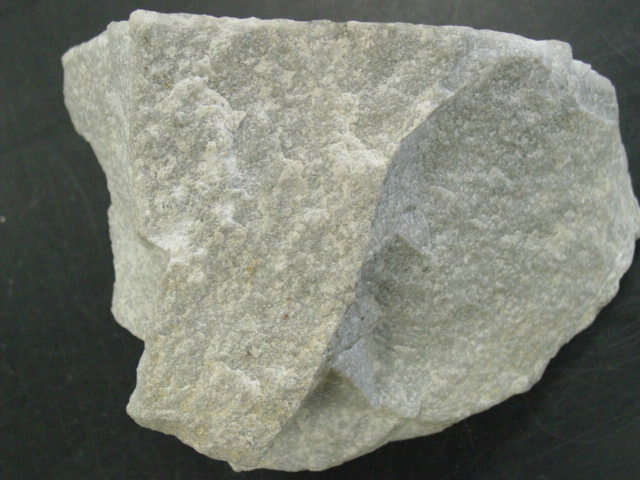 High purity quartzite is used to produce ferrosilicon, industrial silica sand, silicon and silicon carbide. During the Paleolithic quartzite was used, in addition to flint, quartz, and other lithic raw materials, for making stone tools. Hornfels is from a German word means hornstone because of its much hardness and texture both resembled to animal horn is a metamorphic rock. These properties are due to fine grained non aligned crystals. 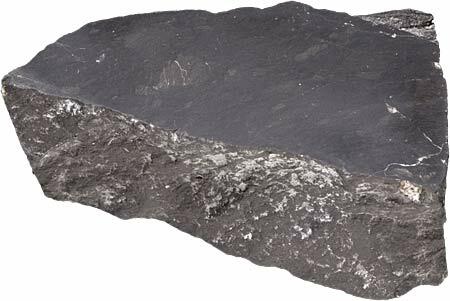 Hornfels are also called as Whetstone in England. These rocks are mostly fine grained while the original rocks such as sandstone, shale, slate and limestone may be more or less fissile because to the presence of bedding or cleavage planes, these are inoperative in hornfels. These rocks may show banding due to bedding of the original rock but is differ in breaking than that of the original rock as they break into thin plates, hornfels breaks into cubicles. Hornfels is a group designated for a series of contact metamorphism that have been baked and by the heat of magma chamber or from the intrusive igneous masses and are made into massive, hard, splintery, and in some cases exceedingly tough and durable. As of the contact metamorphism, pressure is not a factor in the formation of hornfels, it lacks the foliation as seen in many metamorphic rocks formed under high pressure and temperature. Pre-existing bedding and structure of the parent rock is generally destroyed in hornfels. Slates, shales and clays yield biotite hornfels in which the most conspicuous mineral is biotite mica, the small scales of which are transparent under the microscope and have a dark reddish-brown colour and strong dichroism. There is also quartz, and often a considerable amount of feldspar, while graphite, tourmaline and iron oxides frequently occur in lesser quantity. In these biotite hornfels the minerals, which consist of aluminium silicates, are commonly found; they are usually andalusite and sillimanite, but kyanite appears also in hornfels, especially in those that have a schistose character. The andalusite may be pink and is then often pleochroic in thin sections, or it may be white with the cross-shaped dark enclosures of the matrix that are characteristic of chiastolite. Sillimanite usually forms exceedingly minute needles embedded in quartz. 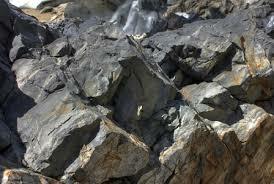 In the rocks of this group cordierite also occurs, not rarely, and may have the outlines of imperfect hexagonal prisms that are divided up into six sectors when seen in polarised light. In biotite hornfels, a faint striping may indicate the original bedding of the unaltered rock and corresponds to small changes in the nature of the sediment deposited. More commonly there is a distinct spotting, visible on the surfaces of the hand specimens. The spots are round or elliptical, and may be paler or darker than the rest of the rock. In some cases they are rich in graphite or carbonaceous matter; in others they are full of brown mica; some spots consist of rather coarser grains of quartz than occur in the matrix. The frequency with which this feature reappears in the less altered slates and hornfels is rather remarkable, especially as it seems certain that the spots are not always of the same nature or origin. Tourmaline hornfels are found sometimes near the margins of tourmaline granites; they are black with small needles of schorl that under the microscope are dark brown and richly pleochroic. 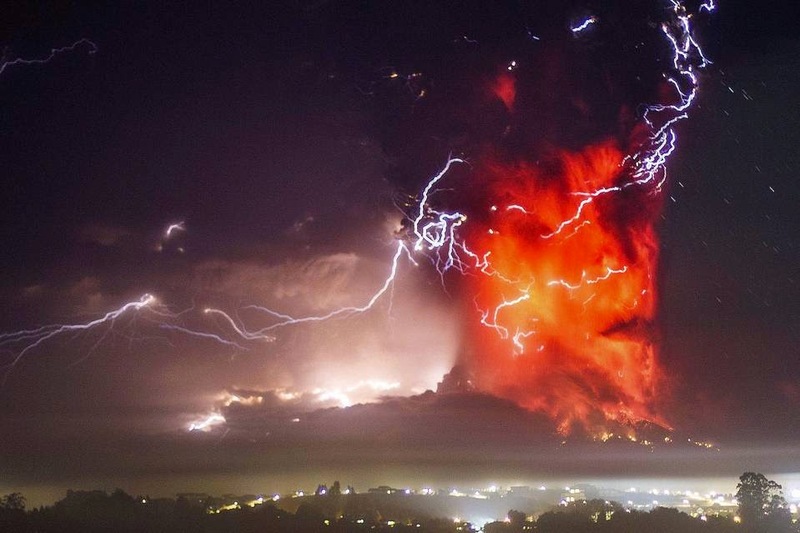 As the tourmaline contains boron, there must have been some permeation of vapours from the granite into the sediments. Rocks of this group are often seen in the Cornish tin-mining districts, especially near the ludes. A second great group of hornfels are the calc–silicate hornfels that arise from the thermal alteration of impure limestone. The purer beds recrystallise as marbles, but where there has been originally an admixture of sand or clay lime-bearing silicates are formed, such as diopside, epidote, garnet, sphene, vesuvianite and scapolite; with these phlogopite, various feldspars, pyrites, quartz and actinolite often occur. These rocks are fine-grained, and though often banded, are tough and much harder than the original limestones. They are excessively variable in their mineralogical composition, and very often alternate in thin seams with biotite hornfels and indurated quartzites. When perfused with boric and fluoric vapors from the granite they may contain much axinite, fluorite and datolite, but the altiminous silicates are absent from these rocks. From diabases, basalts, andesites and other igneous rocks a third type of hornfels is produced. They consist essentially of feldspar with hornblende (generally of brown colour) and pale pyroxene. Sphene, biotite and iron oxides are the other common constituents, but these rocks show much variety of composition and structure. 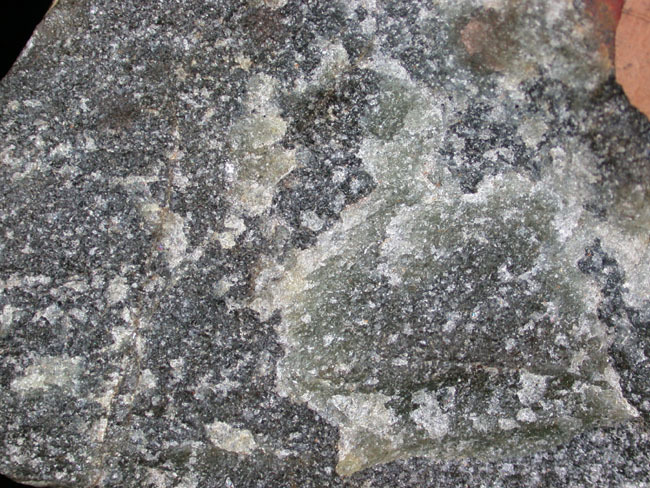 Where the original mass was decomposed and contained calcite, zeolites, chlorite and other secondary minerals either in veins or in cavities, there are usually rounded areas or irregular streaks containing a suite of new minerals, which may resemble those of the calcium-silicate hornfelses above described. The original porphyritic, fluidal, vesicular or fragmental structures of the igneous rock are clearly visible in the less advanced stages of hornfelsing, but become less evident as the alteration progresses. The most common hornfels are the biotite hornfels which are dark brown to black with somewhat velvety luster owing to the abundance of small crystals of shinning black mica. The limestone hornfels are often white, yellow, pale green, brown and other colours. Although for the most part the constituent grains are too small to be determined by the unaided eye, there are often larger crystals of cordierite, garnet or andalusite scattered through the fine matrix, and these may become very prominent on the weathered faces of the rock. Uses of hornfels are as an aggregate in the construction and road building. 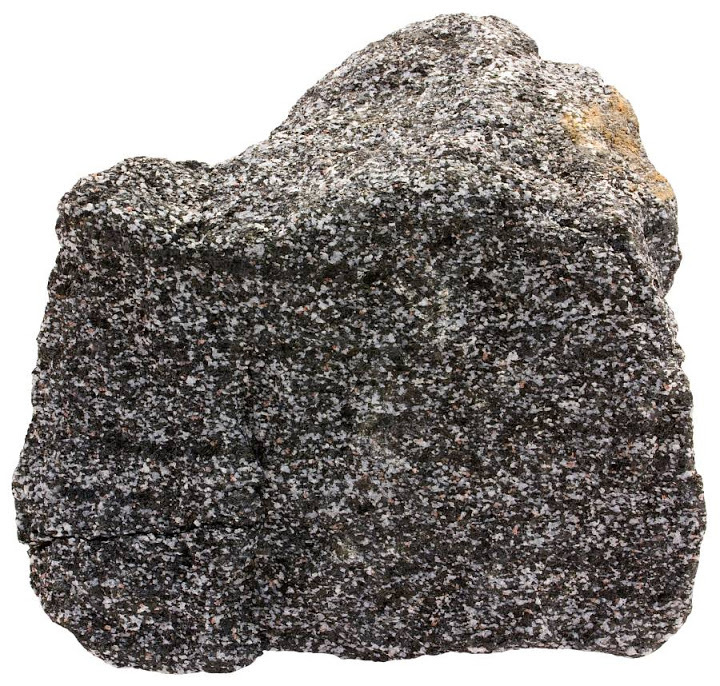 Amphibolite is a non foliated metamorphic rock that is mainly composed of mineral amphibole and plagioclase feldspar with little or no quartz. The amphibole are usually the member of the hornblende group. It can also contains other metamorphic minerals such as biotite, epidote, garnet, wollastonite, andalusite, staurolite, kyanite and sillimanite. It is typically dark coloured and heavy with a weak foliated or schistose structure. The small flakes of white and black minerals in the rock often give it a salt and pepper appearance. Amphibolite is a metamorphic rock that contains amphibole, especially the species hornblende and actinolite, as well as plagioclase. 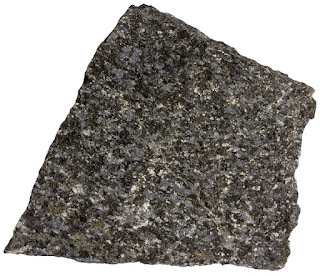 A holocrystalline plutonic igneous rock composed primarily of hornblende amphibole is called a hornblendite, which is usually a crystal cumulate rock. Rocks with >90% amphiboles which have a feldspar ground-mass may be a lamprophyre. Amphibolite is a grouping of rocks composed mainly of amphibole and plagioclase feldspars, with little or no quartz. It is typically dark-colored and heavy, with a weakly foliated or schistose (flaky) structure. 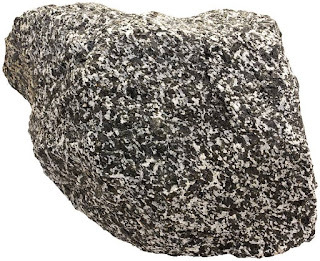 The small flakes of black and white in the rock often give it a salt-and-pepper appearance. Amphibolites need not be derived from metamorphosed mafic rocks. Because metamorphism creates minerals based entirely upon the chemistry of the protolith, certain 'dirty marls' and volcanic sediments may actually metamorphose to an amphibolite assemblage. 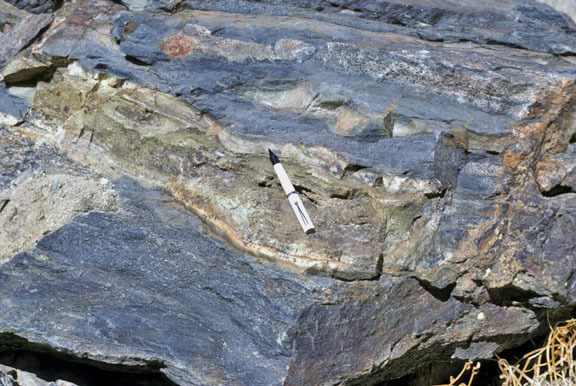 Deposits containing dolomite and siderite also readily yield amphibolites (tremolite-schists, grunerite-schists, and others) especially where there has been a certain amount of contact metamorphism by adjacent granitic masses. Metamorphosed basalts create ortho-amphibolites and other chemically appropriate lithologies create para-amphibolites. 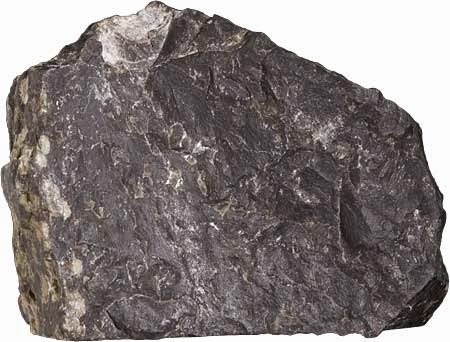 Tremolite, while it is a metamorphic amphibole, is derived most usually from highly metamorphosed ultramafic rocks, and thus tremolite-talc schists are not generally considered as 'amphibolites'. 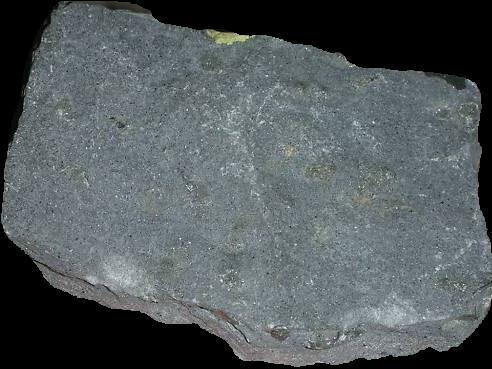 Amphibolite is a rock associated with the convergent plate boundaries where heat and pressure cause regional metamorphism of mafic igneous rocks such as basalt and gabbro or from the clay rich sedimentary rocks that can be either marl or greywacke. The metamorphism sometimes also flattens and elongates the mineral grains which produces schistocity in the rock. Amphibolites need not be derived from metamorphosed mafic rocks. Because metamorphism creates minerals based entirely upon the chemistry of the protolith, Certain 'dirty marls' and volcanic sediments may actually metamorphose to an amphibolite assemblage. Deposits containing dolomite and siderite also readily yield amphibolites especially where there has been a certain amount of contact metamorphism by adjacent granitic masses. Metamorphosed basalts create ortho-amphibolites and other chemically appropriate lithologies create para-amphibolites. Metamorphic rocks composed primarily of amphibole, albite, with subordinate epidote, zoisite, chlorite, quartz, sphene, and accessory leucoxene, ilmenite and magnetite which have a protolith of an igneous rock are known as Orthoamphibolites. Para-amphibolites will generally have the same equilibrium mineral assemblage as orthoamphibolites, with more biotite, and may include more quartz, albite, and depending on the protolith, more calcite/aragonite and wollastonite. Often the easiest way to determine the true nature of an amphibolite is to inspect its field relationships; especially whether it is inter-fingered with other sediments, especially greywackes and other poorly sorted sediments. If the amphibolite appears to transgress apparent protolith bedding surfaces it is an ortho-amphibolite, as this suggests it was a dyke. 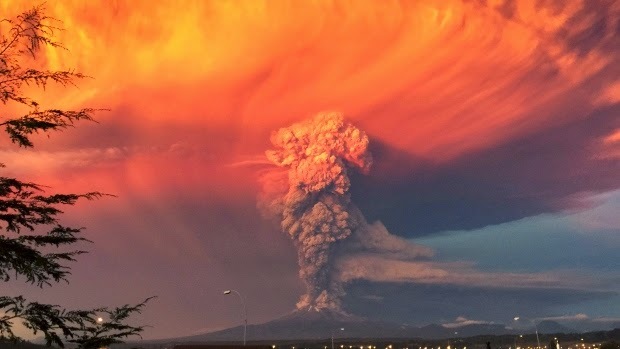 Picking a sill and thin metamorphosed lava flows may be more troublesome. Thereafter, whole rock geochemistry will suitably identify ortho- from para-amphibolites. The word metabasalt was thus coined, largely to avoid the confusion between ortho-amphibolites and para-amphibolites. 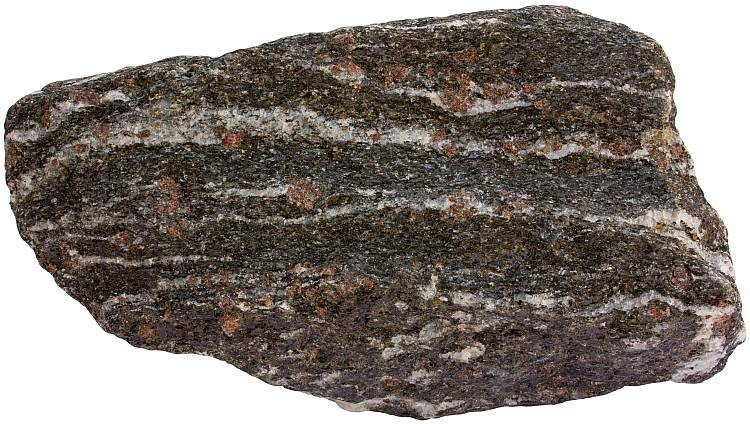 While not a true metamorphic rock name, as it infers an origin, it is a useful term. Amphibolites define a particular set of temperature and pressure conditions known as the amphibolite facies. However, caution must be applied here before embarking on metamorphic mapping based on amphibolites alone. Firstly, for an (ortho) amphibolite to be classed as a metamorphic amphibolite, it must be certain that the amphibole in the rock is a prograde metamorphic product, and not a retrograde metamorphic product. For instance, actinolite amphibole is a common product of retrograde metamorphism of basalts at (upper) greenschist facies conditions. Often, this will take on the crystal form and habit of the original protolith assemblage; actinolite pseudomorphically replacing pyroxene is an indication that the amphibolite may not represent a peak metamorphic grade in the amphibolite facies. Actinolite schists are often the result of hydrothermal alteration or metasomatism, and thus may not, necessarily, be a good indicator of metamorphic conditions when taken in isolation. Secondly, the microstructure and crystal size of the rock must be appropriate. Amphibolite facies conditions are experienced at temperatures in excess of 500 °C and pressures less than 1.2 GPa, well within the ductile deformation field. Gneissic texture may occur nearby, if not then mylonite zones, foliations and ductile behaviour, including stretching lineations may occur. While it is not impossible to have remnant protolith mineralogy, this is rare. More common is to find phenocrysts of pyroxene, olivine, plagioclase and even magmatic amphibole such as pargasite rhombohedra, pseudomorphed by hornblende amphibole. Original magmatic textures, especially crude magmatic layering in layered intrusions, is often preserved. Amphibolite facies is usually a product of Barrovian Facies Sequence or advanced Abukuma Facies Sequence metamorphic trajectories. Amphibolite facies is a result of continuing burial and thermal heating after greenschist facies is exceeded. Further burial and metamorphic compression (but little extra heat) will lead to eclogite facies metamorphism; with more advanced heating the majority of rocks begin melting in excess of 650 to 700 °C in the presence of water. In dry rocks, however, additional heat (and burial) may result in granulite facies conditions. Uralites are particular hydrothermally altered pyroxenites; during autogenic hydrothermal circulation their primary mineralogy of pyroxene and plagioclase, etc. 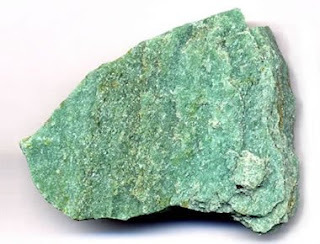 has altered to actinolite and saussurite (albite + epidote). The texture is distinctive, the pyroxene altered to fuzzy, radially arranged actinolite pseudomorphically after pyroxene, and saussuritised plagioclase. 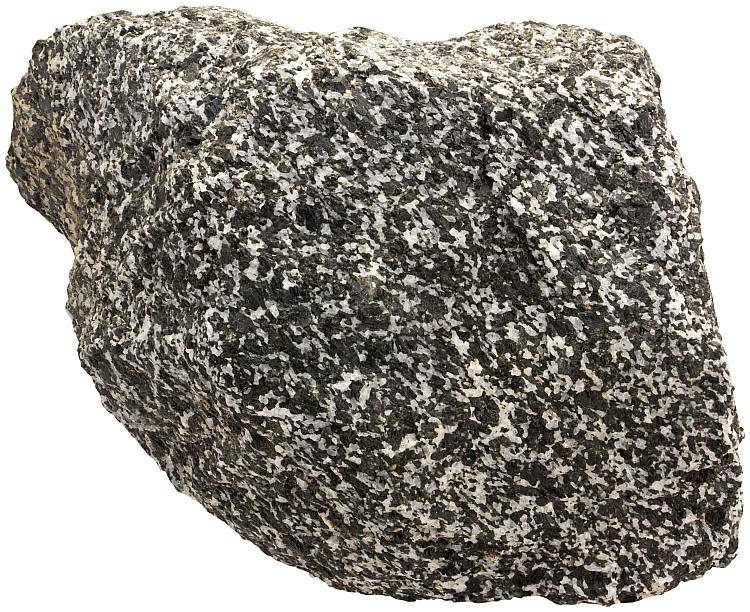 The archaic term epidiorite is sometimes used to refer to a metamorphosed ortho-amphibolite with a protolith of diorite, gabbro or other mafic intrusive rock. In epidiorite the original clinopyroxene (most often augite) has been replaced by the fibrous amphibole uralite. 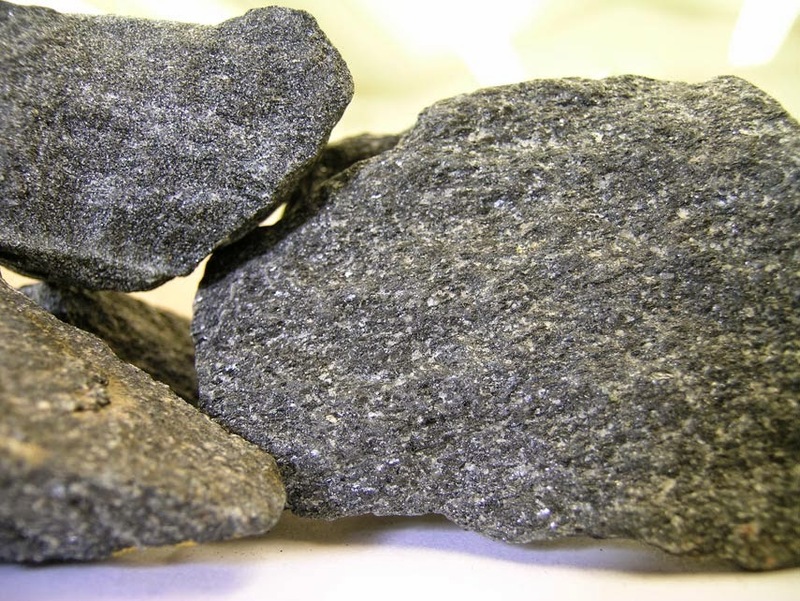 Amphibolite is harder than limestone and heavier than granite so for this reason amphibolite is quarried and crushed for use as an aggregate in highway construction and as a ballast stone in railroad construction. 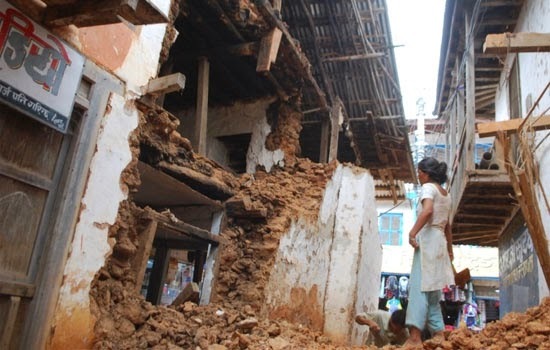 It is also used as a dimension stone after cutting into specific size and shape. Higher quality of amphibolite is quarried for use as an architectural purposes and as a flooring tiles, facing stone on building exterior and panels indoors. Marble is a metamorphic rock which is non foliated and is formed when limestone is subjected to heat and pressure where calcite recrystallises to form a rock that is a mass of interlocking calcite crystals. In marble not all of the rock is formed of calcite other minerals can also be present such as clay minerals, micas, quartz, pyrite, iron oxides and graphite. Same as of the limestone marble, dolostone when metamorphose produces dolomitic marble. Marble is a rock resulting from metamorphism of calcite bearing limestone or dolomite rock. The resulting marble rock is typically composed of an interlocking mosaic of carbonate crystals. 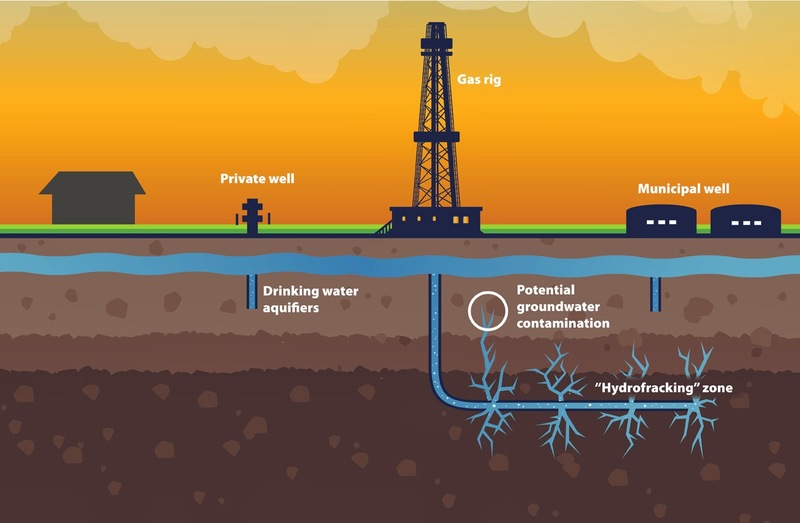 Primary sedimentary textures and structures of the original carbonate rock have typically been modified or destroyed. As metamorphism progresses the crystals in the marble grows large enough to be recognised easily the interlocking of calcite. Pure white marble is the result of metamorphism of a very pure limestone or dolomite protolith that is silicate poor rock. The characteristic swirls and veins of many coloured marble varieties are usually due to various mineral impurities such as clay, silt, sand, iron oxides or chert which were originally present as grains or layers in the limestone. Green colouration is often due to serpentine resulting from originally high magnesium limestone or dolostone with silica impurities. 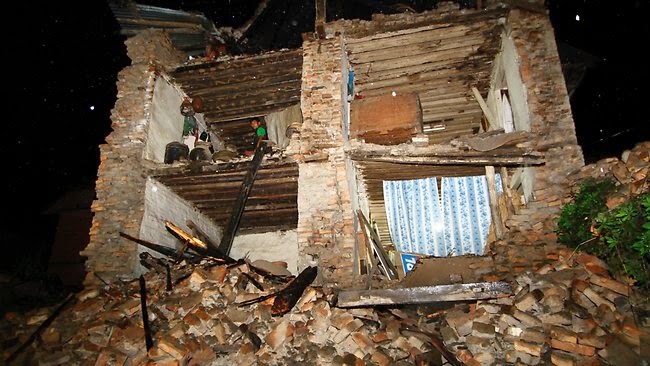 These various impurities have been mobilised and recrystallised by the intense pressure and heat of the metamorphism. Being composed of calcium carbonate marble has a hardness of three on the Mohs scale so marble is easy to carve for sculptures making and ornamental purposes. The low hardness and solubility of marble makes it suitable for calcium additive in animal feeds. After being sanded with progressively finer abrasives, marble can be polished to a high luster. This allows attractive pieces of marble to be cut, polished and used as floor tiles, architectural panels, facing stone, window sills, stair treads, columns and many other pieces of decorative stone.